Why do people seek coaching or educational consultation? you have probably tried a variety of options: meetings with teachers, discussions with family and friends, books, internet searches, testing, and perhaps even counseling. 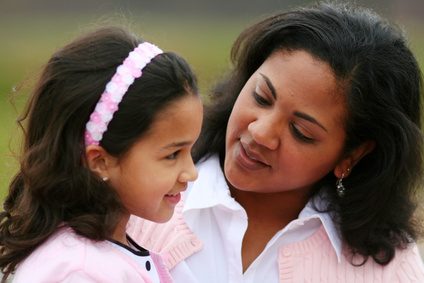 Now you may be looking for some straightforward advice to help with decisions related to your gifted child's academic choices and emotional well-being. Or you just might need to sort out and prioritize goals for your child. you may have just realized that you are gifted and want to explore what this means. Or you might need some coaching and guidance related to how giftedness is affecting your relationships or career. I also work with families of musically talented children, where questions may arise related to ambivalence, procrastination, burn-out, multipotentiality, and perfectionism. Parents often question when...and how much...to encourage them. 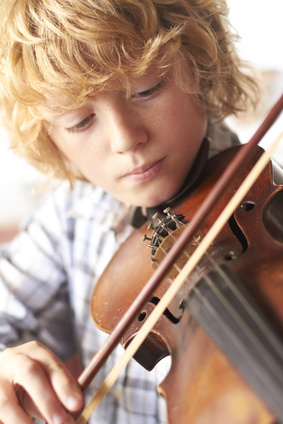 Musically gifted children often find little guidance within their schools that can help them sort out future career paths. Many struggle with decisions related to career goals, choosing college vs. conservatory, or whether to major in music at all. Why see a psychologist for coaching? On the other hand, Psychologists (like most licensed mental health professionals) go through extensive training in the study of behavior, motivation and personality dynamics. Psychologists participate in five or more years of post-graduate education and several years of post-doctoral supervision. Their training emphasizes interpersonal listening skills, methods for providing support and guidance, and the importance of healthy boundaries in the therapeutic relationship that encourage the client's ultimate independence. They adhere to a code of ethics enforced by state and national licensing and professional boards, maintain confidentiality, and respect clients' differences and values. In short, psychologists' expertise informs their work when in the role of a coach or consultant. What happens during a coaching or consultation session? During our initial meeting, I will try to quickly gather information about your most pressing concerns, along with relevant history related to you or your child. Although some people feel nervous at first, once the conversation starts, it gets easier to share information. I will ask about your goals for the consultation, and see if we can develop a plan for achieving them. We will focus on your specific concerns and I will try to help you come up with the best solution to the problem. Coaching/consultation is not psychotherapy, which focuses on alleviating symptoms, understanding the underlying dynamics that create these symptoms, and changing problem behaviors. Instead, coaching/consultation uses strategic planning, values clarification, brainstorming, and goal-setting to reach identified goals. The relationship between the consultant and client is more direct, relaxed and challenging than between therapist and client, and not intended to offer therapeutic support. I won't criticize your parenting or what you have already tried. I won't focus on myself - this is YOUR time and not a place for me to go into detail about my personal experiences. I won't tell you what to do - I will offer ideas and strategies, and suggest reasons for any roadblocks in your way. It is up to you to decide what works best for you and your family. I won't offer guidance solely based on my personal experiences. Unlike some other gifted coaching and consultation services, I do not claim having expertise due to being gifted or because I raised a gifted child. Rather, my qualifications are based on over 30 years as a Clinical Psychologist, along with experience as a parent advocate in the schools. When coaching is conducted by phone or videoconferencing, I charge a reduced rate - less than my in-person psychotherapy fee. My fee for the initial consultation is $130.00 per hour, and any follow-up visits are $100.00 per hour or $50.00 per 1/2 hour. Just give me a call at 215 884-9260 or e-mail me at gailpostphd@gailpost.com. submit payment by credit card at least one day in advance. Information about paying by credit card or Pay Pal online can be found here. For more information, please contact me at gailpostphd@gailpost.com or 215 884-9260. Or visit my website at www.gailpost.com.